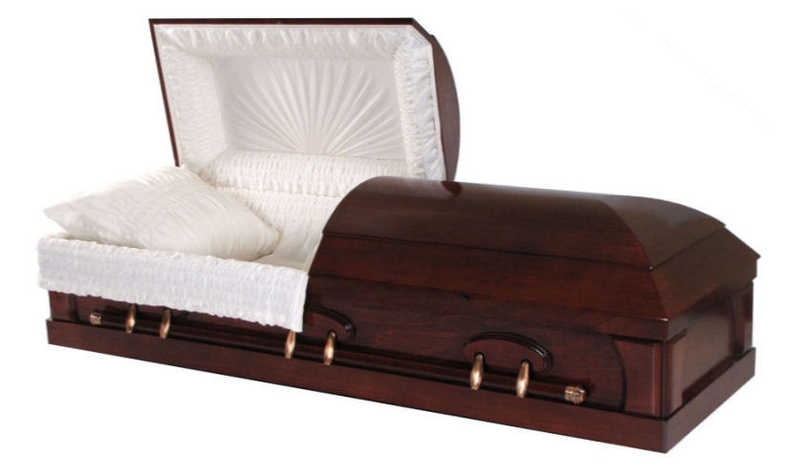 Attractive design for traditional tastes, this casket is made from 100% poper wood, available in natural pecan color or stunning mahogany finish, and with gold hardware accents. All lumber used is graded FAS or higher and is carefully chosen for excellent color & grain. These remarkable caskets are made by the finest American master-craftsmen and each one must pass our 10-point quality control inspection. Will comfortably fit standard 30" burial vaults.